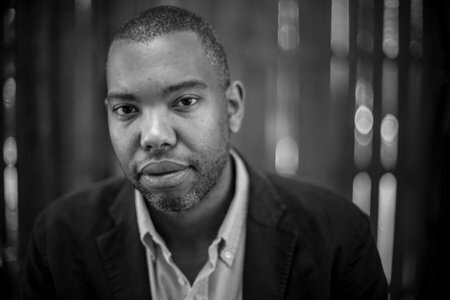 Ta-Nehisi Coates is a national correspondent for The Atlantic and the author of the #1 New York Times bestseller Between the World and Me, a finalist for the National Book Award and hailed by Toni Morrison as “required reading." The winner of the National Book Award and the Andrew Carnegie Medal for Excellence in Nonfiction from Colson Whitehead—a magnificent tour de force chronicling a young slave's adventures as she makes a desperate bid for freedom in the antebellum South. With this brilliant, heartbreaking book, Harvard sociologist Matthew Desmond transforms our understanding of extreme poverty and economic exploitation—while providing fresh ideas for solving a devastating, uniquely American problem. An initiative of the National Endowment for the Arts, NEA Big Read annually supports approximately 75 dynamic community reading programs. Each community program that receives an NEA Big Read grant is also provided with resources, outreach materials, and training. To learn more, visit NEABigRead.org.